We provide income tax consultancy services to our clients. Our expert professionals are strictly aware of various tax and rules. The services that we provide for our esteemed clients are strictly based on all the ethical norms and regulations. Owing to the efficiency in our service execution, we have achieved wide acclamation in many leading sectors in the industry. Any profit arising from the transfer of a capital asset is chargeable to tax under the head ‘capital gains’. It is necessary to obtain the indexed cost of acquisition of the property and to obtain the value of the property as on April 1, 1981, for assessing the capital gains. We are capable of providing such services. 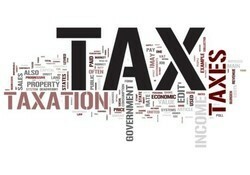 We specialize in Taxation Assessment Services for all types of clients. Income tax related all compliences.